Vanderbilt Chancellor Nicholas S. Zeppos will host a discussion with former U.S. Rep. Patrick J. Kennedy on Tuesday, March 13. “A Common Struggle: Making Mental Health Essential Health” will begin at 6:30 p.m. in Langford Auditorium on the Vanderbilt University campus. A question-and-answer session will follow the discussion. Questions may be submitted in advance via Twitter using the hashtag #VUCLS or at a table in the Langford Auditorium lobby on March 13 prior to the event. The event is part of the ongoing Chancellor’s Lecture Series for 2017-18 and is being held in conjunction with Vanderbilt’s GO THERE campaign, a campuswide initiative to foster a culture of openness, honest reflection and brave dialogue about mental health and wellbeing to enhance and support holistic health among all Vanderbilt faculty, staff and students. Admission to the lecture is free, and seating in Langford Auditorium will be available on a first-come, first-seated basis. Tickets will not be issued for this event. 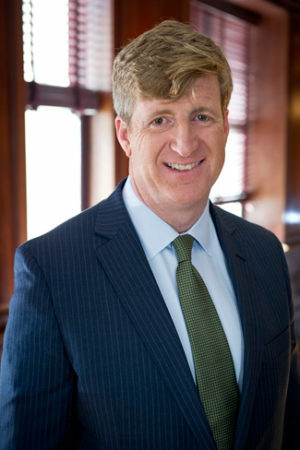 Kennedy, the youngest child of longtime Massachusetts Sen. Ted Kennedy, served as a member of the U.S. House of Representatives from Rhode Island’s First Congressional District from 1995 to 2011. In May 2006, he publicly disclosed the full extent of his struggle with bipolar disorder, his addiction to prescription painkillers, and his plan to seek immediate treatment. Since then Kennedy has been a leading advocate for mental health and substance abuse care, research and policy both in and out of Congress. He served as a lead sponsor of the landmark Mental Health Parity and Addiction Equity Act of 2008, which guarantees equal access to mental health and addiction services for all Americans by requiring insurance companies to treat illnesses of the brain, such as depression and addiction, the same way they treat illnesses of the body, like diabetes and cancer. After stepping away from Congress in 2011, Kennedy founded The Kennedy Forum, a nonprofit organization whose mission is to lead a national dialogue on transforming mental health and addiction care delivery by uniting mental health advocates, business leaders and government agencies around a common set of principles, including full implementation of the federal parity law. As co-founder of One Mind, he helped spark a global revolution in how scientists collaborate to study, diagnose and treat brain diseases. In 2015, Kennedy co-authored the New York Times bestseller A Common Struggle: A Personal Journey Through the Past and Future of Mental Illness and Addiction. The book details his personal struggles as well as his bold plan for the future of mental health care in America. In spring 2017, he was appointed to serve on the President’s Commission on Combating Drug Addiction and the Opioid Crisis. Chaired by former New Jersey Gov. Chris Christie, the commission studied ways to combat and treat the scourge of drug abuse and addiction in the United States, ultimately delivering a final report of recommendations to President Donald Trump. Parking for the March 13 Chancellor’s Lecture will be available in the 25th Avenue Garage, located near the intersection of 25th and Highland avenues. Please use the Highland Avenue entrance. The Vanderbilt Chancellor’s Lecture Series strives to connect the university and the Nashville community with intellectuals who are shaping our world. 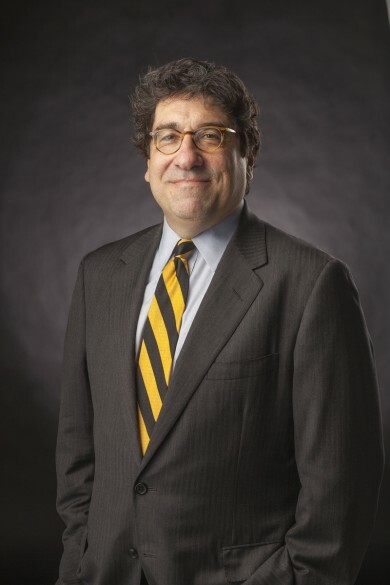 For more information about the series, visit the Chancellor’s Lecture Series website, email cls@vanderbilt.edu, or follow @Nick_Zeppos on Twitter.